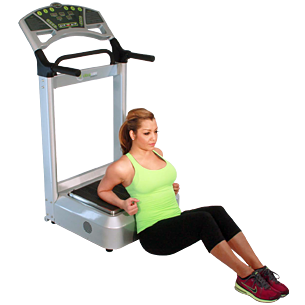 Sit in front of the machine on the floor facing out with your elbows on the plate. Slide your buttocks away from the plate while keeping your elbows on the plate. This stretch works your pectoral muscles.